The merit badge program is one of Boy Scouting’s basic character-developing tools. Earning merit badges gives a boy the confidence that comes from learning and developing skills to achieve a goal - while working through adult mentors. At the Council PowWow, our purpose is to facilitate group instruction with approved merit badge counselors who will work with the Scouts during the PowWow sessions. However, this group experience should be accompanied by parent and local unit attention to each Scout’s projects and his ability to fulfill all merit badge requirements. Attending group instruction does not, by itself, qualify a Scout for any merit badge—he must complete all merit badge requirements! Merit badge instruction is available to a Scout for up to three merit different badges of his choice (with some exceptions). Please review the requirements for each merit badge before registering your Scout. Some of the requirements will be completed at the PowWow, but Scouts will need to work on a majority of the requirements at home, either before the program or as homework between sessions. Please take the time to go over the merit badge worksheets with your Scout BEFORE the PowWow so he will be prepared. A significant amount of class time will be used by the merit badge counselors to review and pass off the requirements that have been completed outside of class. There is no guarantee that a Scout will complete all requirements for a merit badge during the PowWow. If he does not, additional follow-up with your local merit badge counselor will be required. A Merit Badge Application Card (Blue Card) for each merit badge the Scout is pursuing (available at the Grand Teton Council Office, or possibly from your Scoutmaster). The Scoutmaster should sign these cards in advance of the PowWow. A Merit Badge Worksheet (see right) for each merit badge the Scout is pursuing. Please print and use the merit badge worksheets from the Council PowWow site ONLY. If others are used, we cannot guarantee the requirements will be covered by the instructor during PowWow. In keeping with the BSA Grand Teton Council policy, merit badges may only be issued to those who use an official BSA Merit Badge Application Card. PowWow Merit Badge Worksheets will not be accepted at the Council Office in place of the official Merit Badge Application Card. Each Scout will be responsible to obtain his own cards and have them signed by his Scoutmaster before the PowWow begins. Merit badge cards will be signed by PowWow merit badge counselors only if all merit badge requirements are completed. Scouts who do not complete all the requirements should take their partially completed Merit Badge Worksheets to their local leaders for completion, review, and signature. Click the Merit Badge to download the worksheet that you MUST bring with you along with a blue card. Print the Merit Badge Worksheet for each class in which you enroll. Read the requirements listed on each worksheet. Some requirements need to be completed BEFORE the first day of PowWow, so we strongly recommend reviewing the worksheet at least two weeks before the program begins. Bring your worksheets to the PowWow classes—they will NOT be provided by the PowWow. Save your worksheets in case you need to complete any requirements after the program, or in case you misplace your merit badge card. 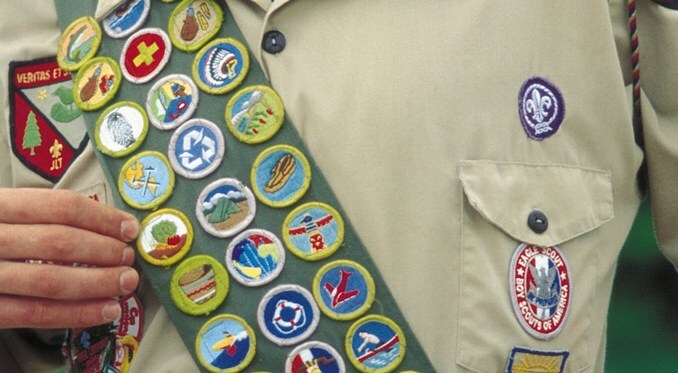 * These merit badges have at least one requirement that must be completed before the Council PowWow. Please view the worksheet beforehand to see which requirements will need extra time to complete. PowWow takes place on two Saturday mornings, September 29 & October 20 from 8:00 a.m. to 12:30 p.m. By participating each Saturday and attending an important training meeting, each counselor will get a free lunch each Saturday and a t-shirt. To volunteer, email Steve Earl, steve@earls.us or call 208-542-2585. At the PowWow: take roll, lead group discussion, and sign off the merit badges. Registration is $25 per Scout (plus a 3% transaction fee online) and will be available at the link to the left or $30 in person before 8:30 on September 29. If you wish to avoid the transaction fee OR want to pay with cash, check, or with funds in your unit account BEFORE The event, you can register online, select MAIL, and then contact the Scout Office to finish your payment. Note: If you miss the first day, you cannot register or atttend the second session! The session you sign up for on day 1 will repeated on day 2. 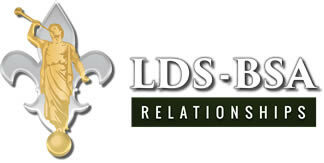 The Scout, the Scout's Parent's, or Scout's Leader can register the Scout. Scouts must be 11 at the time of the PowWow and no older than 18. Note: Some walk-in space will be available on the first day of PowWow. HOWEVER, that space will be very limited; we cannot guarantee that every class will have open spaces. During the registration process, a Scout may register for up to three DIFFERENT merit badges. Each merit badge class will have a section letter assigned as well as a time (e.g., Art, Section B, 9:00–10:05 a.m.). All Scouts who register for the same section and time will be in the same class. If one section is full, the Scout can choose another section. When different sections of the same merit badge are in different classrooms, this will be indicated. A Scout may return to the registration page until December 1 to change his selection to a different section or merit badge, as long as there is still space available. A confirmation receipt showing class locations and times will be sent to those who register. If you do not receive a confirmation email please call the scout office to update your email or finish the registration process. Please have your Scout bring this schedule with him each day of the PowWow. The PowWow has limited enrollment. The registration fee is $25 per Scout even if he registers for only one class. No registrations, refund requests, or class changes can be accepted after September 26, 2018. Cancellation and Refunds: You may cancel your registration up to 09/26/2018 and can get a full refund. After 9/26/2018 a fee of $5.00 will apply. 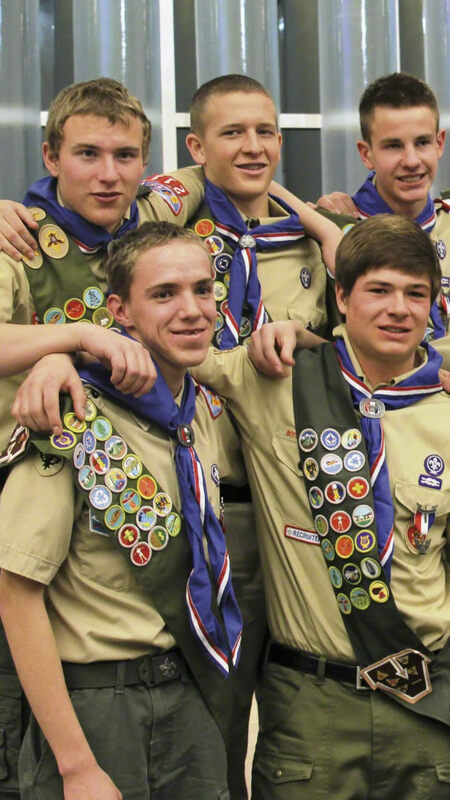 Council and District Activities – University of Scouting, Cub Scout Pow Wow, Rocker, Varsity Games, Venturer Olympics, Camporee's, Klondike Derbies, District Dinner, District Trainings, etc. •	Fee must be paid two weeks prior to the start of the activity. •	Fees are refundable in full 2 days prior to the start of the activity. •	No fees are refundable after 2 days prior to the start of the activity, except for major medical emergencies and with approval of the activity chairman and district executive. •	A Refund Request form must be completed before a refund can be reviewed. •	To be cost effective, instead of issuing a check for a refund of $10.00 or less, the amount will be deposited in the unit account. •	Special events such as Jamboral or other activity may have specialized dates that will be printed in that events materials.